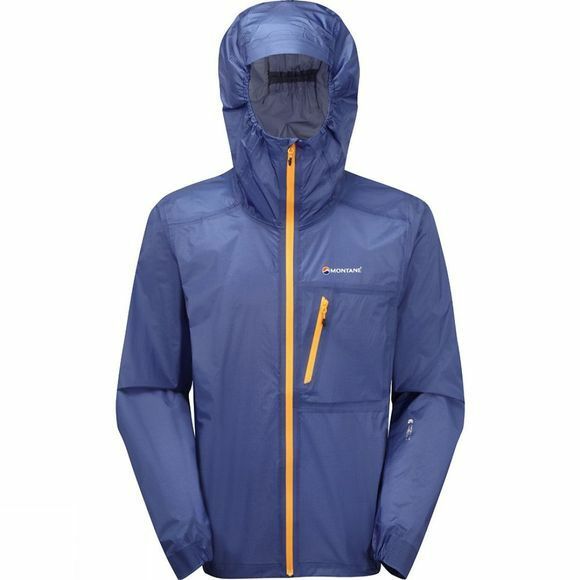 A revolutionary lightweight and breathable three-layer waterproof alpine shell from Montane. Engineered for fast moving activities where weight saving is essential. 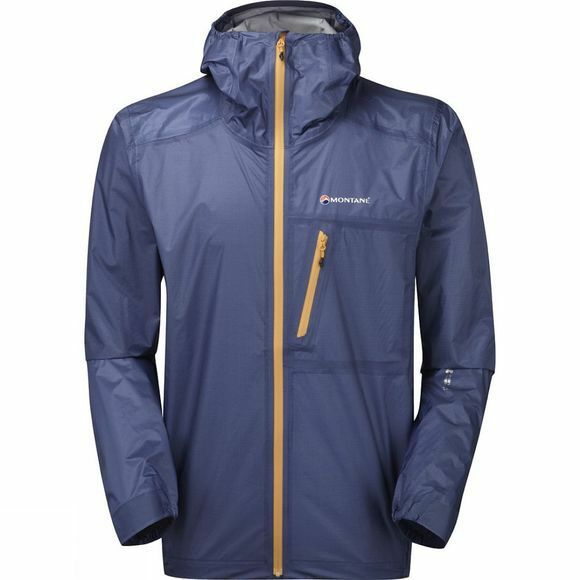 Utilising a Pertex Shield+ laminate which combines a seven-denier nylon face, a seven-micron breathable membrane and a super light seven-denier tricot backer. Critically designed to save weight without compromising functionality, the Men's Minimus 777 Jacket is pattern engineered with strategic placement of darts to minimise the number of seams and reduce unnecessary weight. The jacket weighs just 140 grams with micro-taped seams to increase breathable surface area and a high seam stitch count for tight, clean and strong seams throughout. Articulated arms allow high reach movement and tailored specifically to reduce hem lift. A pre-elasticated under-helmet hood provides excellent face protection and freedom of movement. The zipped external chest pocket with YKK AquaGuard zip is designed to fit a GPS device or mobile phone with minimal movement.